Pro-EU rally gets underway in Edinburgh, June 29 2016. EDINBURGH, Scotland: A pro-EU rally was attended by thousands in Edinburgh on Wednesday evening outside the Scottish Parliament (see video below). 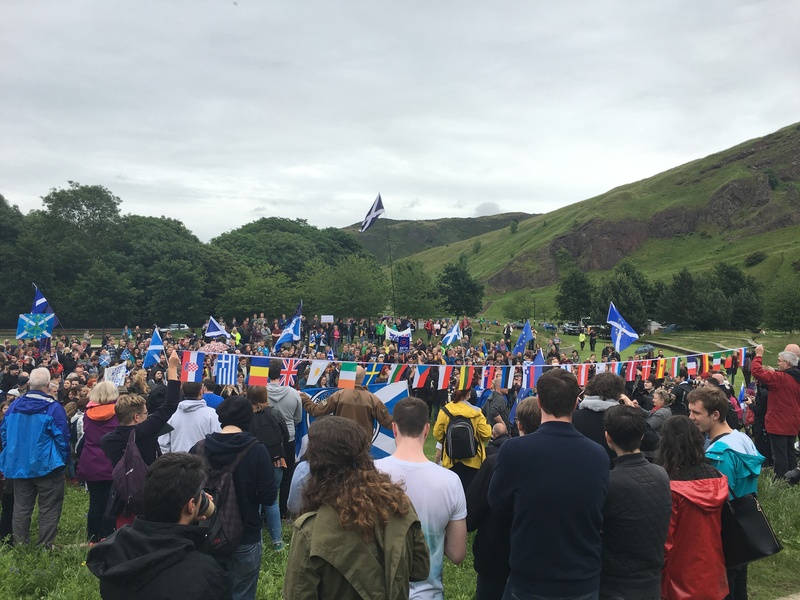 The demonstration, organised by the Young European Movement (YEM) Edinburgh, comes less than a week after the UK voted to leave the European Union, 52% to 48%. To understand Aamer’s journey you have to consider what he left behind. After he told me his story of how he went from Homs to Edinburgh I decided to ask his opinion on some of the wider issues surrounding the exodus from his country. I had argued in a previous post that I found the UK parliament’s decision to bomb ISIS in Syria nonsensical, especially given that the vast amount of causalities in Syria have been caused by the regime. Aamer had joined the Syrian Revolution from its birth, when it was a protest of a people against their government and not the quagmire that exists today. Aamer keeps a handwritten note in his bedroom. He found it alongside a donated microwave when he moved to Edinburgh last month. It was a welcome note, whose anonymous writer had wished Aamer all the best in his new life in Scotland. This was the front page of yesterday’s newspaper. 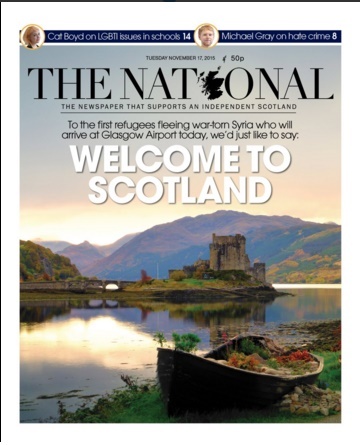 Welcoming the first round of Syrian refugees being brought to Scotland from the camps in Lebanon and Jordan. 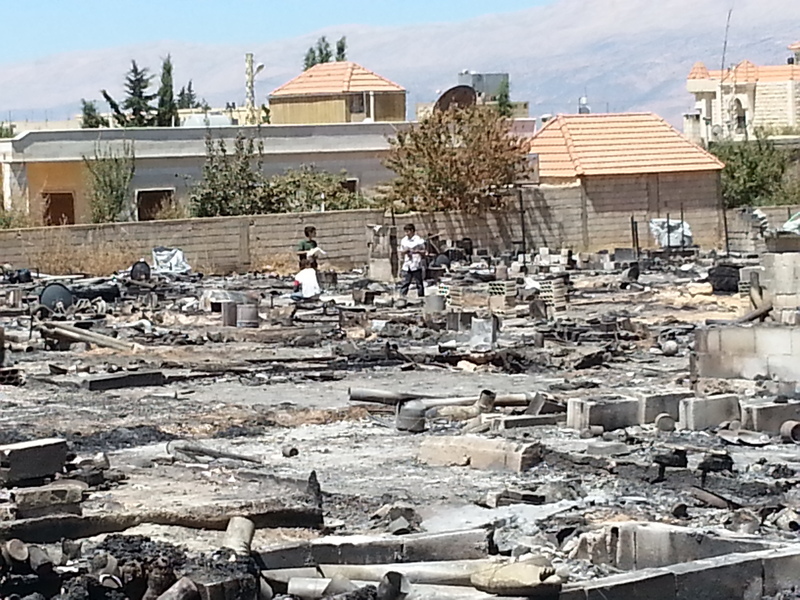 By Christmas, around 400 Syrians will be settling into their lives here. Yesterday the first 100 arrived to the rain, the cold and a, by and large, warm reception. Yet the first minister, Nicola Sturgeon had to stand up in the Scottish Parliament and reassure the Scottish people that those coming had been vetted twice. Once by the UN, then again by the Home Office.